Three books from Wednesday, April 23, 2014. Plus your Nerd Confessions (about your best LCS experiences). Behavior so disgusting it has to be satire, right? 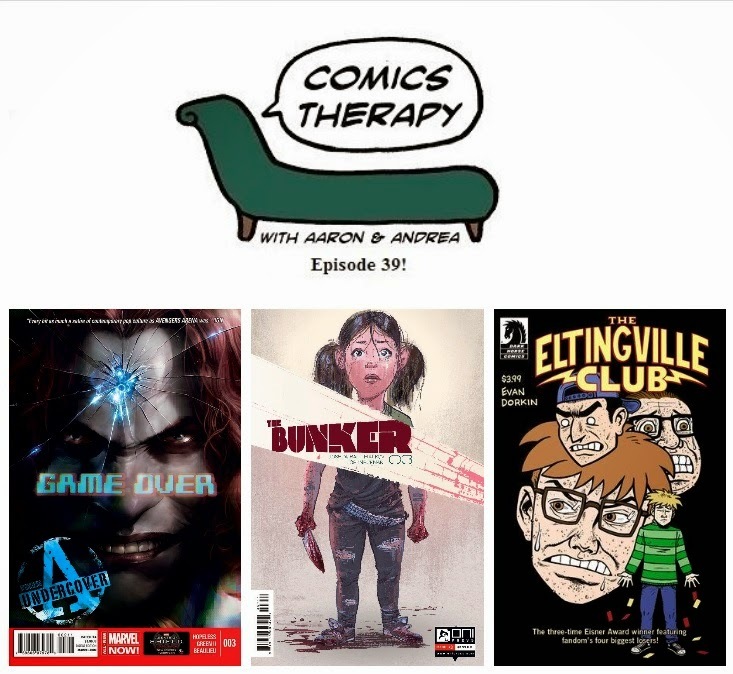 Sadly, Aaron's experiences in his youth - and more recent egregious examples within the larger comics community - tell us this intentionally ugly glimpse into the minds of the adolescent nerd hits remarkably close to home. If you can't even trust yourself, you certainly can't trust your friends. Now or ever. Alternative title: Avengers PTSD. Alternative alternative title: If You Can't Beat 'Em, Join 'Em. Our favorite teen heroes are dealing with the aftermath of Murder World in a variety of ways, some more healthy than others.